It was a last minute schedule change that took us on a Tao Village visit to the Oho Caves in Fiji. We were looking to squeeze in one more adventure during our stay on the main island and Sarah of Tourism Fiji had just the thing. The Tao Village has recently allowed tourists into their village for visits and their sacred Oho Caves are the star attraction. We took an hour-long drive from the Outrigger Lagoon Resort on the Coral Coast through a very wet yet green countryside on a very bumpy gravel road. Our driver Vincent told us that he was to take the old van, as the roads were too rough for the newer models. People met us with curious smiles as we pulled up to the village and we got the feeling that they don’t see many tourists in this part of the island. Our guide Ratulevu hopped in to the van and we drove to the trail entrance to begin the half hour hike to see the well-hidden Oho Caves. As he lifted the barbed wire off of its nail and spoke to us about the history of cannibalism we started to think that, yep, we’re not in Kansas anymore. It was a short hike, but it was a tough hike. 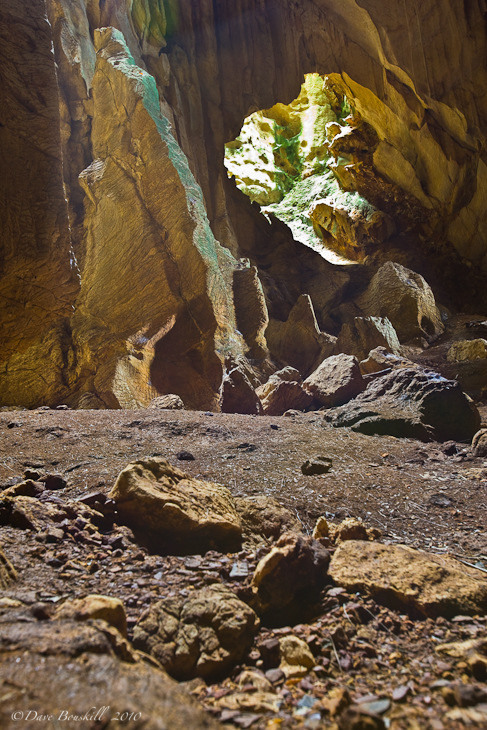 Neighbouring tribes never conquered the Oho Caves and the Navatua Tribe was known as one of the fiercest in the land. 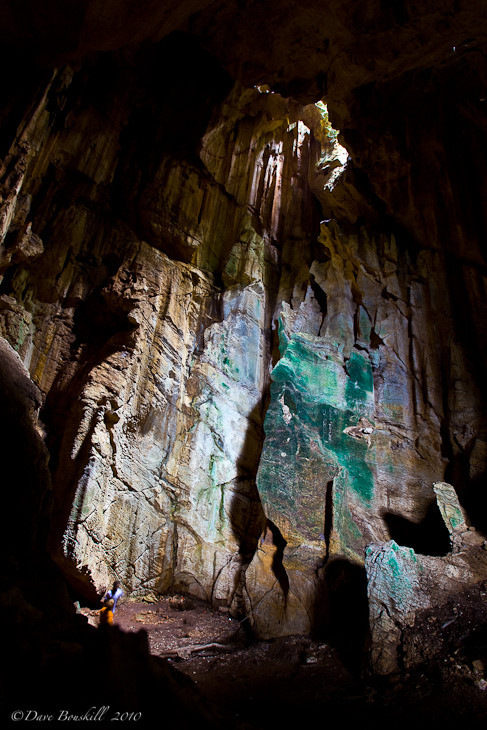 They owned a strategic location and these caves were their sanctuary. 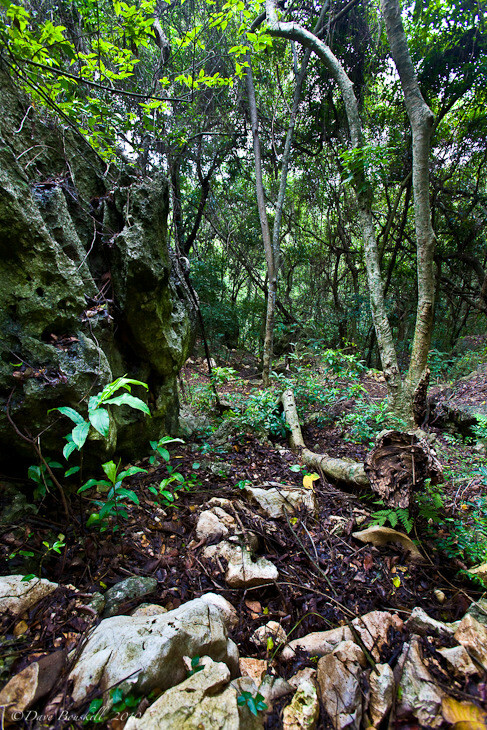 They could see the entire valley below and the trail was completely camouflaged. Without our guide we would never have found it. Ratulevu told us stories of how the people of Tao Village are descendants of the Navatua Tribe, which was the first in the area to embrace Christianity. Before the missionaries came, the Navatua Tribe would go to war with other villages and attack when the time was right. He showed the bark that they used to boil and if the water turned red it meant that they would win the battle. If it didn’t they wouldn’t go. It must have worked because as he said, the Navatua Tribe was never conquered. You didn’t want to lose a battle in those days because the losers ended up on the dinner plate. The caves seemed to appear suddenly as we were talking and we looked up to an awesome sight. The chamber was far bigger than I imagined it to be and it was bright and welcoming. We stood at its entrance and took it all in before entering further. Ratulevu ran ahead and bounded up to the throne where the chief sat high above his people. It was a precarious perch and I was glad the he didn’t invite us up to join him. The creepy moment came when we went to the cooking area. He talked about how this was the best location because the fire would go out the hole above. You didn’t want anyone seeing smoke back then because they would come and attack and if you lost the battle, well, you know what happened. He also pointed out where the prisoners were killed, right beside the fire where they were cooked! How scary would that have been to know that you were about to be tonight’s main course? We went deeper into the cave to seek out a nest of bats and as Ratalevu shone his very bright light on the roof, the bats started circling down towards us to take a closer look. That was our sign to leave and after one last look we made our way back down to the Tao village. 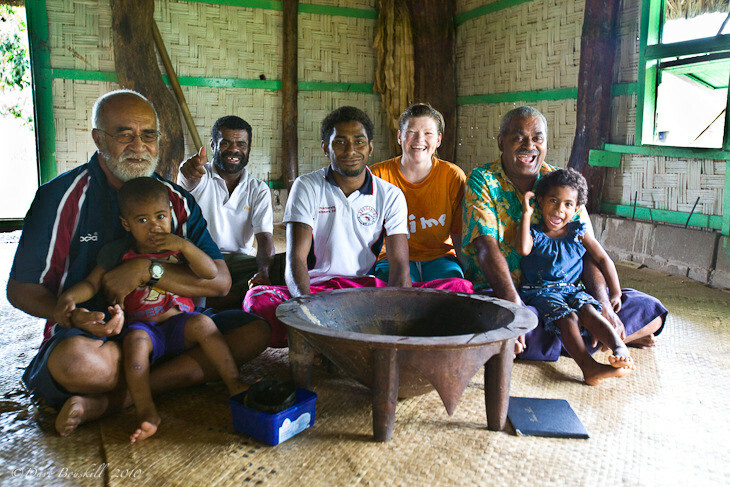 When visiting any village, it is customary to take part in a Kava ceremony. We were mortified to find out that we would be sitting with the executive heads of the Tao Village. We had come completely unprepared. We didn’t bring any Kava root and we weren’t dressed appropriately at all. We thought we were simply hiking to the caves this morning. The Chief and his second in command were very gracious however and didn’t seem to take notice one bit. They performed the ceremony and welcomed us into their bure (house) as friends. To find out more about a kava Ceremony, check out our post on it here. We enjoyed two high tides (full cups of Kava) and talked with them about how they are a unique tour since they are one of the few remaining villages that still live by traditional means. We could have talked with them all day long. They were warm and friendly and open about their way of life. Fiji tourism didn’t inform them that we couldn’t stay for long and they had no idea that we were on a condensed version of the cave and village tour. They said that they were going to prepare lunch for us and they were looking forward to showing us around their homes. They were genuinely hurt when we told them that we had to leave and we felt genuinely terrible. Unfortunately, we could not change our schedule. That is the downfall of a media trip. It is amazing to be allowed to see so much in such a short amount of time, yet it can also be very rushed leaving you wanting more. The good news is, we promised to come back when we make it to Fiji again and we left our contact information. Our guide Ratelavu is of a younger generation and has an email account, so we exchanged emails and look forward to keeping in touch. We hope that people take notice of the Oho Cave Tour, it is one of the most genuine and authentic moments we had in Fiji. And that is saying a lot because at every village and establishment we felt genuinely welcome. The Oho Cave and the Tao Village Tour just felt a little more intimate and special than the others. 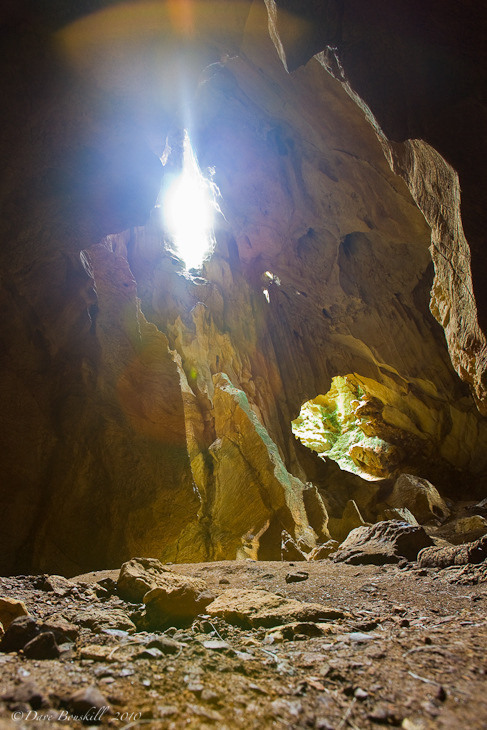 6 Responses to "Tao Village Visit – Cannibals and Caves of Fiji"
You’re amazing at these great natural wonder shot! .-= Sarah Wu´s last blog ..Photos- A Glimpse of Hollywood- The Entertainment Capital =-. Wow, these caves do look amazing! .-= Amr Boghdady´s last blog ..German Vocabulary =-.